Using proven strategies to manage the economic doldrums, procurement professionals are seeing their resources stretched to the limit. The Fourth of July fireworks display in Tucson, Ariz., is being canceled this year, not because of a lack of patriotism but in response to the precipitous and lingering economic downturn. Tucson also canceled the city contract to wash the windows at City Hall and is taking a critical look at every purchase at a time when many local governments are having to lay off staff and make other drastic cost-cutting moves. Tucson’s recent budget woes are typical of many locales: a 25 percent cut over two years and a procurement staff that has dwindled from 89 in fiscal year 2004 to a projected 50 in fiscal year 2010. It only takes a few phone calls around the country to reveal the breadth of the economic impact on the government procurement community. The Port of Portland (Ore.) has cut expenses, deferred capital projects and increased their grant applications. There are fewer employees, and the remaining staff is being asked to take 15 days of unpaid leave over the next 15 months. The Port has also seen a 20 percent decrease in passenger volume and has lost a shipping line. Mississippi State University is facing 5 to 10 percent budget reductions because of dwindling state tax collections. Fort Lauderdale, Fla., is facing a 10 to 11 percent decrease in revenue because of lower property values. Hiring freezes in Cape May County, N.J.; Rockland County, N.Y.; and hundreds of other governments leave procurement staffs to face the challenges of the tough economy with unfilled vacancies and less staff. Fortunately, strategies are often in place to promote efficiencies and cut costs as painlessly as possible in the midst of the dire economic straits. From coast to coast, local governments are cutting discretionary spending and taking a hard look at which capital projects can be delayed until next year. Procurement departments have been doing their part by streamlining and automating business processes, carefully analyzing spending trends, participating in more cooperative purchasing, outsourcing more services and renegotiating lower prices on contracts. The purchasing function is also dealing with intensified scrutiny of expenditures by the city manager staff, often with lower spending thresholds requiring review, which adds processing time. Purchasing professionals say many of these efforts were already under way, but the economic downturn has focused new attention on their importance. Edmund Grant, chief financial officer and P-card program administrator for Cape May County, N.J., sees procurement as a main player in the county’s efforts to “reinvent county government” and to find ways to save costs, whether by outsourcing fleet maintenance or printing, or evaluating communications technologies. “As a result of this process, purchasing’s value has been elevated as a strategic process. We aren’t just pushing papers; we are in the trenches reviewing these things, looking at the various options and getting to know suppliers better.” Procurement has led the way in Cape May County by implementing a P-card system, using online auctions and creating Web sites for specifications, among other efforts. Cooperative purchasing. 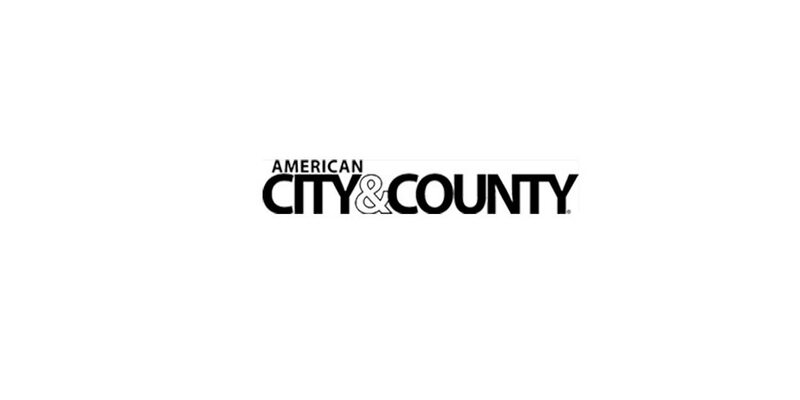 Rockland County, N.Y., is the lead agency in a regional purchasing cooperative involving 36 agencies that has saved 10 percent a year on a $1 million contract for copy paper. The group is looking toward similar contracts on industrial supplies and automotive supplies. The Port of Portland is in the process of executing a $2.5 million furniture acquisition using a cooperative contract. Renegotiating contracts. The Port of Portland was successful in achieving a project cost reduction of 24 percent over a proposed contract price through negotiations. Rockland County has eliminated Consumer Price Index increases from labor-related contracts and Producer Price Index increases when buying transit buses. “We do a lot of contracts with option years, and we use them as leverage to avoid increases in rates,” Brennan says. “Vendors agree rather than risk losing the contract.” Tucson’s contract management program uses renewal periods as opportunities to reduce contract scopes; to consider alternative, less-expensive products; or to lower prices. Reassigning internal resources. In Cape May County, the emphasis is on internal cooperation to share limited resources; for example, if fleet maintenance is outsourced, how can those people be transferred to other departments? After analyzing vehicle utilization, is there an opportunity to transfer or share the vehicles in another department? “Procurement is a strategic player in those discussions,” Grant says. Increasing oversight. Tucson has established an Expenditure Oversight Team to monitor purchases, and a citywide “Budget 911” Web site and phone number enable employees and citizens to call in their own cost-cutting suggestions, which are evaluated for possible implementation. At the start of the downturn, the department created a “Procurement Extreme Makeover” document that provided city managers with an overview of the changes the department has made over the years, demonstrating ongoing efforts to be efficient. A list of “Hard Cost-Saving Ideas and Suggestions” outlined more than 20 cost-saving and revenue-generating ideas for the department and other functions within the city. Using P-cards for efficiency and to track spending. Tucson and other localities use the P-card program to generate spend reports to quickly identify unnecessary spending patterns and to drive more payments to the card, thus saving precious staff time. In the Washington State Department of Transportation, the P-card program has saved about $8 million by streamlining the procure-to-pay process and has generated about $800,000 in rebates. More training for staff. Don Buffum, director, procurement and contracts, Mississippi State University, sees education and certification of his professional procurement staff as way to help offset economic problems. “Certified procurement professionals can better maximize the use of our limited resources,” Buffum says. Bobbi Matthews, manager, administrative services, the Port of Portland (Ore.), has also seen an increase in management interest in where the Port is spending money and how contracts are awarded and managed. “Increased transparency is the word of the day locally and nationally,” she says. “We have increased the amount of information provided to our governing body on contract transactions, which takes about 20 percent longer for our staff to produce. We are also looking at revising our policy on the thresholds for taking things to our Commission for approval, which would result in an increase in items requiring approval.” The Port of Portland expects to receive federal stimulus funds for two port projects that would have otherwise been deferred. Businesses in the Tucson community, and everywhere, are being hard-hit by this economy, and when they are affected, their elected officials are going to hear about it, Gillespie says. “So naturally, there is an increased interest in what the organization is doing to address these concerns, including what volume of city expenditures are made with local businesses,” she said. Adding to the procurement challenges are the transparency and reporting requirements of federal stimulus funding. “Stimulus funds equal a lot more work,” says Brennan of Rockland County. “We have to hire consultants. On the back end, the requirements for reporting and transparency are very labor-intensive.” The stimulus funds will also require additional solicitations with very short time spans (projects to be completed in 18 to 36 months). Many procurement departments are facing the added burden with fewer personnel, which rules out the usual strategy of “throwing extra people” at an emergency situation. Also, downsized staffs are less likely to include seasoned employees with institutional knowledge because they are more likely to have taken early retirement. No stimulus money is planned to offset the extra operating expenses involved in using the money. Instead, the money is targeted to projects that create additional jobs, such as construction projects, and the applications ask how many jobs will be created. “They should have put aside some money to help pay for training for procurement personnel or to increase staffing,” Brennan comments. Larry Anderson is editor of Go Pro. Read about how suppliers are weathering the recession.